Sony and Microsoft have both announced the slate of February 2019 free games that will be available to subscribing PlayStation Plus and Xbox Live Gold members. 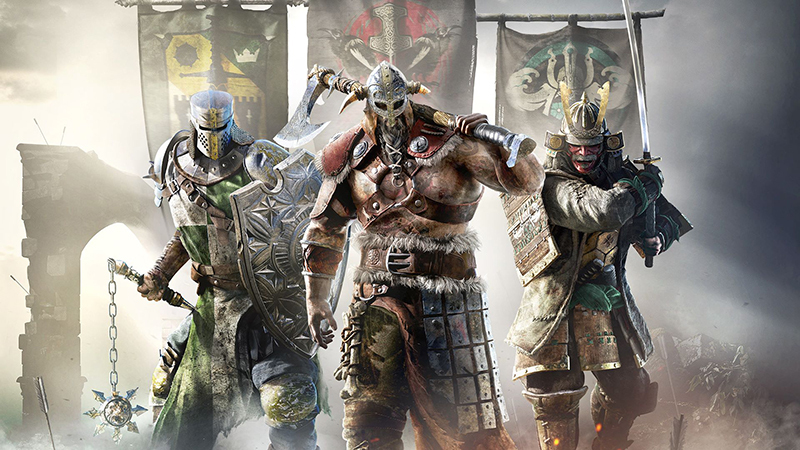 PlayStation members will receive For Honor, the melee action game from Ubisoft featuring 18 different PvP maps. Members will also receive Hitman: The Complete First Season where players take on the role of Agent 47, the world’s ultimate assassin. PS4 games will be available until March 5, 2019. The PS Plus Lineup also includes Divekick and Metal Gear Solid 4: Guns of the Patriots for the PS3, as well as Gunhouse and Rogue Aces for the PS Vita. This month’s PS3 and PS Vita games will be available until March 8, 2019. Following this date, PS3 games and PS Vita games will no longer be offered as part of the PS Plus monthly lineup. Previously downloaded games will still be part of your PS Plus games library. PlayStation VR fans will receive big discounts exclusively for PS Plus members. This includes 50% off Rick and Morty: Virtual Rick-ality and Resident Evil 7: Biohazard Gold Edition, 25% off Borderlands 2 VR, and 20% off Astro Bot Rescue Mission. The sale ends on February 5. On top of the game announcements, in early February the cloud storage space will expand from 10GB to 100GB for PS Plus members. You can subscribe to PlayStation Plus via this link. Xbox Live Gold members will receive four new free games — two on Xbox One and two on Xbox 360 — as part of the Games with Gold program. On Xbox One, Xbox Live Gold members can download Bloodstained: Curse of the Moon for free during the month of February. SUPER BOMBERMAN R will be available as a free download from February 16 to March 15. On Xbox 360, starting February 1st, Assassin’s Creed Rogue will be free for Xbox Live Gold members through February 15. Then on February 16, Xbox Live Gold members can download Star Wars Jedi Knight: Jedi Academy for free through February 28. You can subscribe to Xbox Live Gold via this link.